maxon technology is widely used in robotics, where high power density and precision are prerequisites. 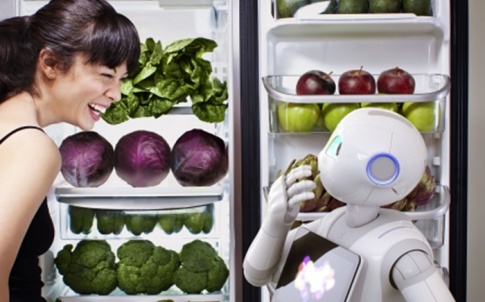 This article explains which products are most suited to robot applications and why. Within a compact unit, maxon motors can provide a continuous torque rating of up to almost 1Nm, and this can be further increased with the addition of a maxon gearhead. The self-supporting ironless copper winding allows for a great volume/power ratio. Compact units with a high performance are extremely beneficial for applications such as robotic arms. These are used to assist humans with consistent heavy loads they encounter when working in a warehouse, for example. maxon’s RE40 and RE65 DC motors have been used in this type of application. The RE65 offers a nominal torque of approximately 900mNm and can be also be overloaded depending on the duty cycle. maxon’s motors offer a speed/torque gradient as low as 0.306 rpm/mNm (EC-i 52 180W) which can be used in direct drive applications where there is a fluctuating load. Humanoid robots typically have a requirement for a small powerful, or in other words, a high power density unit. For example, in the past the EC-4 pole 22mm motor has been used due to its high output power which is a result of having two pole pairs. In terms of maxon gearheads, the ceramic option is usually chosen as it has the capability to transmit more torque to the output shaft without causing internal wear. Due to the coreless design of the DC motors, the inertia is typically very low. 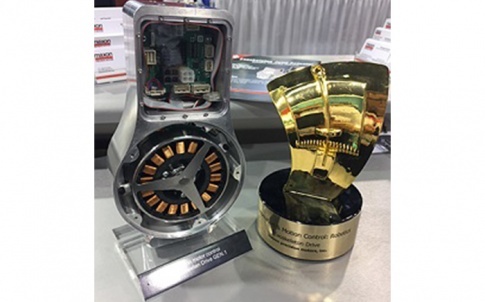 This results in the motor offering high acceleration characteristics which is critical in certain applications, such as pick and place systems and delta robots. As well as a low inertia, maxon motors also offer a very low mechanical time constant that determines the time taken to achieve 63% of its no-load speed from a standstill. For highly dynamic applications, that require constant acceleration/deceleration, selecting a motor with a low rotor inertia is fundamental. When considering the reduction ratio, inertia matching must be considered. This is a process which considers that a low reduction ratio would result in the motor seeing a high current, due to the torque required to accelerate the load. However, a high reduction ratio would also result in a high current being drawn, as the motor speed required in the same amount of time would be greater. 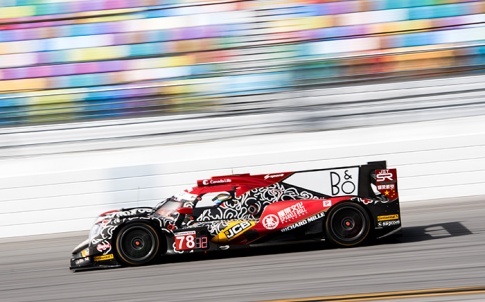 The optimal gearbox ratio would have to be determined to create a balance between the two. If high acceleration and deceleration is required, another factor to consider would be the power supply and controller used. When a motor is decelerated, essentially torque is applied in the opposite direction to rotation to slow it down to a halt. This results in a high current being supplied from the power supply and/or controller. As well as this, there is a reversed energy being supplied back to the controller and in turn is supplied back to the power supply. maxon 4-Quadrant controllers, such as the ESCON and EPOS are recommended for highly dynamic applications as they can offer defined deceleration times because of the negative torque applied. See diagram below to understand what a 4-Quadrant drive offers. Many robotic applications are portable and are operated by battery power. maxon motors are typically very efficient which allows a long duty cycle when operated in a battery powered application. When using a maxon gearhead, the number of stages should be kept to a minimum as the efficiency reduces with every stage added. maxon gearheads are highly efficient and can reach up to 90%. A low output torque from the gearhead shaft, in relation to the rated torque, results in a lower efficiency which is another reason to keep the ratio as low as possible, and not to oversize the gearhead. In other words, choose a gearhead with a rated torque output similar to the required torque output, this will also prevent additional stages being added. Certain product ranges offer high robustness in terms of the outer design. From the DC range, the DCX and RE products have metal housing and flanges making them suitable for a lot of applications, and can also be modified to suit specific requirements, such as temperature, vibration, shock etc. From the BLDC range, the EC-Max motor is made up of a robust steel housing, whilst also offering a great price/performance ratio. In terms of operation in extreme ambient temperatures, maxon suggests a range from -20oC to 100oC, although some can offer greater capacity. Modifications can be offered to allow the motors to operate in temperatures beyond the standard range, including adjustments to the PCB, grease and cables. A perfect example of a robotic application which requires elevated levels of robustness would be an inspection robot. maxon motors are used in under water inspection units which means they are not only required to be robust, but also efficient in terms of the torque output. The RE40, combined with a GP42 gearbox is the perfect unit due to the physical design, service life and its ability to cope with high pressure when underwater. For robotic applications, a high torque unit is usually the main requirement, rather than a speed based motor. If a gearhead is not suitable for the application, maxon offer motors which are based on having a high torque rather than high speed, this is a result of the number of pole pairs used in the brushless range. maxon offer several brushless motors which are multipole, hence they are especially suited towards robotic applications. Whilst the flat motor has up to 12 pole pairs (EC 90 Flat), the unit has a high rotor inertia, this is useful for some applications however not for dynamic applications which require high acceleration rates. The flat motor range is very useful for applications such as humanoid robots where a high torque, compact unit is required, which doesn’t have a high dynamic requirement. maxon have released a frameless version of the EC flat range which is to be fully integrated with the application. The frameless unit offers a very high torque, like the standard version however it can be integrated within a small envelope. Applications such as robotic arms typically have restrictions in terms of the space and weight, and as for the operation, a high torque is required as opposed to high speed. 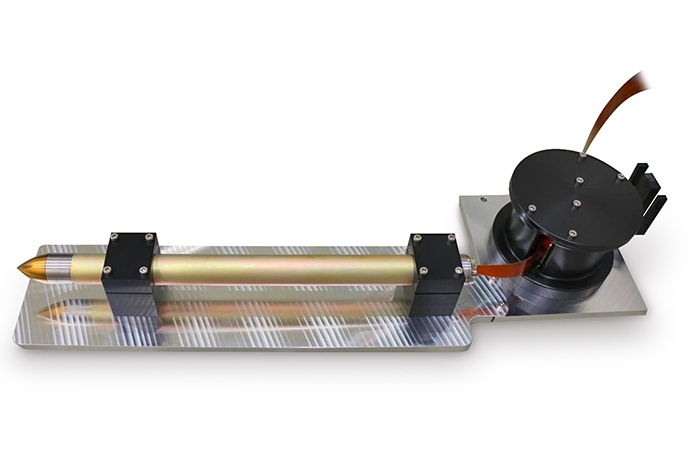 The frameless motor is the ideal solution as it can be fully integrated within the robot. The unit is delivered as a rotor and a stator and has an open design to allow room for cables. In terms of the output power, the frameless flat range start at 30W and go up to 260W. Speeds of 10000 rpm can be achieved on a continuous basis and a maximum continuous torque of 1.03Nm can be reached. As the open design of the unit allows for higher rates of heat dissipation, the unit can be overloaded on an intermittent basis when required. The newly launched EC-i 30 offers characteristics which are ideal for all industries, especially robotics. It is especially suited to highly dynamic applications due to the low mechanical time constant and internal multipole rotor. With dimensions of just 30mm diameter and up to 64mm length, it is a compact unit with a high-power density, offering a nominal torque of up to 110mNm, and the maxon modular system allows an increase of torque due to the compatibility with various gearheads from the GP32 range, as well as the 32mm spindle range. The motor itself offers a very low speed/torque gradient, as low as 4.07 rpm/mNm. It is also compatible with a wide range of encoders, including the Encoder 16 EASY Absolute making it ideal for applications where the absolute position is required. The maxon modular system allows for a wide range of encoders to be used on the preferred motor/gearbox combination. Many robotic applications can be considered complex in the sense that they consist of mechanically interdependent axes, meaning incremental encoders may not be sufficient. Incremental encoders require a homing procedure to determine the position of the motor shaft, this results in an additional time being required to allow for the homing process, and it may lead to collisions depending on the mechanics of the system. 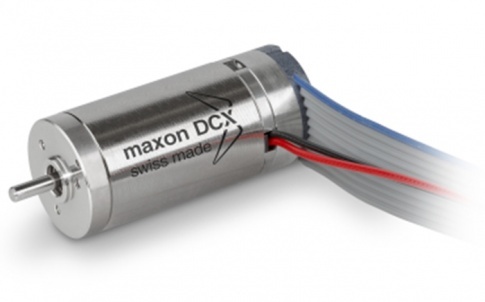 maxon offer absolute encoders which eliminate the requirement for a homing procedure. The absolute position is detected following start up within one revolution for single turn encoders and several revolutions for multi turn encoders. Typical applications for single turn absolute encoders would be a direct drive rotational system and for multi turn absolute encoders, a typical application would be a linear drive system. – Suitability for certain ambient conditions, such as dust, oil, magnetic fields etc. While certain robotic applications seem very simple in operation, there may be very high requirements with regards to reliability, environmental conditions and the physical attributes of the motor unit. In addition to the output performance, these factors must be taken into consideration. 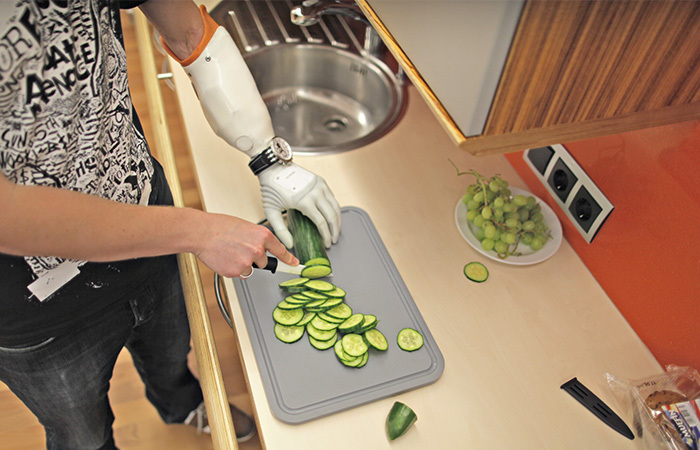 maxon offer a versatile range of products which can be kept as standard or modified to suit the specific robot. 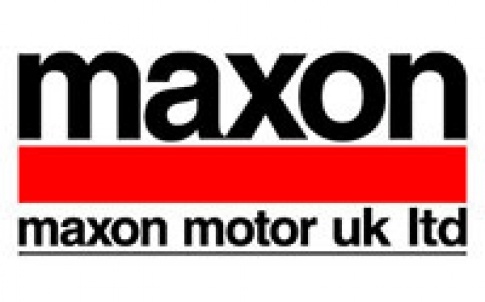 maxon motor is the world’s leading supplier of high-precision drive systems. maxon has earned a reputation for constant innovation and unflinching reliability – seeing the company’s products used by the world’s top engineers in fields as demanding as space exploration, formula 1 racing and sub-sea applications. The maxon product range is developed on a modular basis, giving literally hundreds of thousands of perfectly compatible motor, gear and controller combinations to suit a huge array of applications. With full customisation possible for almost every product, maxon’s experienced sales engineers are on-hand to assist design engineers select precisely the right solution for their needs. DC motors with ironless winding and flat motors (up to 500W output power, mechanical and electronic commutation). Planetary, spur and special gears. Sensors (encoders, DC tachos, resolvers). High-tech CIM and MIM components. When is a Standard not a Standard?